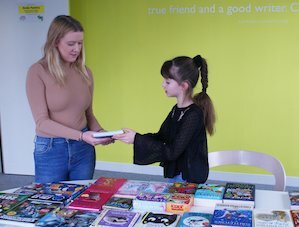 When Anda, aged 10, visited Scholastic HQ as part of Takeover Day 2017, we asked her to write a blog about her day as a Children’s Publisher and Marketeer. I woke up, glanced at my watch and it dawned on me: today was my visit to Scholastic HQ as part of Takeover Day; surely I couldn’t get back to sleep! I could feel the excitement bubbling through my veins, gathering speed and my heart jumping around like a bird trapped in a cage. Rushing out of bed, I got ready as quickly as I could and ran downstairs, where my mum was waiting – she, too, extremely excited. And so my adventure began! We drove to our local train station and caught two trains to Manchester Piccadilly. Between train rides, while waiting on the open platforms, I could feel the cold autumn air nipping at my ears and toes. I buried myself further into my warm, fluffy coat, sheltering myself from the icy gales that were lashing at my face like a prehistoric beast of prickly twigs. It was still pitch black outside when we got on the train from Manchester to London. Our train was delayed by ten minutes which seemed like an eternity, but finally we arrived at Scholastic! Bright and bold, there was my name plastered across a huge screen at the reception. What a welcome! Looking around the place, I noticed that it was very child-friendly, painted in vivid colours – not intimidating at all. John, the marketing manager, introduced us to his team – Chloe, Hattie and Flavia. They took us on a tour of the office and we learnt that all the rooms were named after characters from children’s stories. Never in my life had I seen so many books outside of a bookshop or a library: stacks and stacks of them were adorning every desk, as far as I could see. As soon as I was shown to my office for the day, Arable, I fell in love with it – from the large windows overlooking the imposing Shard to the shelves packed with shiny new books. The first activity of the day was to learn more about the work of the Editorial team and their contribution to the development of a book. I also had to create some content of my own. 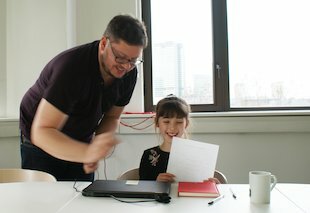 It was fascinating to find out how the team proofread the texts to eliminate all mistakes and work with the authors to produce a final piece that would warm the hearts of so many readers. A book is incomplete with only text, so next we met with Strawberrie and the design team to see how illustrations come to life. Hearing about all the hard work that the designers put into each and every book cover was so incredible and has definitely made me more appreciative of every detail on the carefully crafted covers. After a delicious lunch at Prezzo, we met Su from Product (who I believe has the best job in the world!). 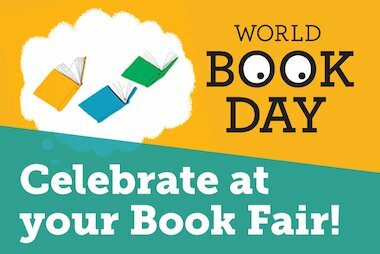 She gets to read hundreds and hundreds of books, some of them months before they’re published and then choose a wide variety to go to the school book fairs. 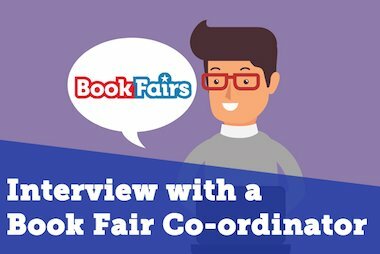 I was fortunate enough to get a glimpse of Su’s job when she brought loads of books into my office, asking me to choose only ten for my own ‘book fair’. It was one the trickiest decisions in my life so far, but after lots of pondering and reasoning, I made my ten choices. 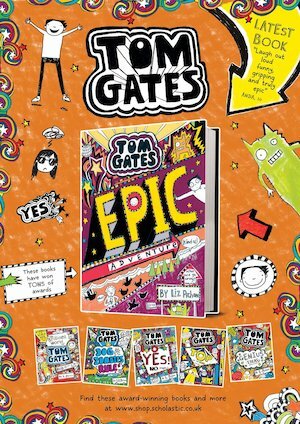 For the last of my activities, again I had to narrow my list down to one this time; it had to be ‘Tom Gates – Epic Adventure (kind of)’. I worked with Flavia and Maria, to come up with a brilliant plan for a Tom Gates poster. Doodles and monsters included, with the aid of Flavia’s excellent designing skills, an extra smart computer and Maria’s endless Tom Gates resources, we produced a magnificent poster (if I may say so myself) that even Liz Pichon (famous author of the Tom Gates series) appreciated on Twitter. Yay! To say that this day was great is an understatement – it was the best day of my life! Thank you all for making it so special. Thanks very much Anda for your fantastic blog and all the brilliant work you did while you were here. 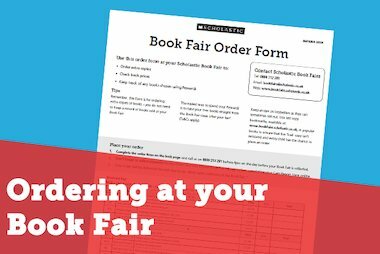 We’re glad you enjoyed your day as a Scholastic Children’s Publisher and Marketeer.